Congratulations to the students who performed at the March MATHness assembly! You sounded great! 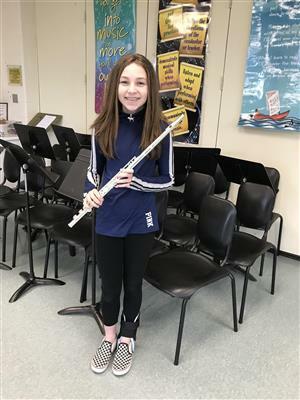 Congratulations to Krista for being selected to participate in the SCMEA Division I Band! Visit the listening corner to hear some of the pieces we are working on this year! Please keep practicing! The more you play, the better you get! SmartMusic makes practicing fun and exciting! To get a student subscription, click here! For online games, a free metronome, and other musical websites, click here.